“I would like to die peacefully in my sleep, like my grandfather — and not screaming in terror like his passengers.” The old joke is funny because it is true: most people would prefer not to experience their death and would rather sleep through it, while those who have no choice but to meet it with open eyes go to it screaming with desperate resistance. Yet of the few things that we can have certainty about — besides the facts that you and I are breathing right now, and have bodies — nothing is more certain than that we will die and that we don’t know how we will die. If we want to make any sense of our lives, we must surely look first to the meager handful of things we can be certain about, and see what meaning we can draw from them. Strangely, even though after birth, death may be the most important event of our lives, we try our utmost to avoid it and also to avoid thinking about it. Most people do not experience their deaths, and even if they are conscious or in clear enough mind at the time, they are dragged terrified into it and are in no state to be intelligently receptive. Few people get to know death, says La Rochefoucauld. We seldom suffer it from resolution, but from stupidity and habit; and most men die because they cannot help dying. (Maxims, 23). If we do not die quietly in in our sleep, a heart attack or violent accident might also prevent us from the unpleasant witnessing of our own death; or else we die secure in the comfort of a myth of an afterlife in which we do not really die. La Rochefoucauld describes this kind of comfort as being like the blindfold that prisoners wear before execution. In expiring with our eyes closed or turned away, we miss an essential, even climactic moment — like turning our faces away from a race when the runners are in the last stretch because we can’t bear to see it end. The goal of our career is death. It is the necessary object of our aim. If it frightens us, how is it possible to go a step forward without feverishness? The remedy of the common herd is not to think about it. But from what brutish stupidity can come so gross a blindness! We are asked to look, to see, to pay attention to decay, disintegration, and dispersal as phases in an inevitable process. This is all the more necessary in a society such as ours, where we are systematically shielded from dying and death, and where natural decay is concealed from us by the funeral industry. In a culture that fetishizes youth and depends for its continuation on the feeding of an infinite collective appetite, we do not get to see decay; we barely even get to see people bent over in advanced age. The closest most of us get to decay is roadkill, but we never stop to look because by definition we are on the road speeding by the kill. Perhaps we should stop to look, since it will be one of our few opportunities to witness decay for ourselves. 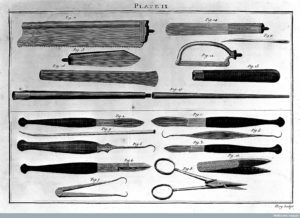 With modern scientific instruments, we can also see that putrefaction is a wonderfully complex and ordered process, with laws and patterns. Even with our naked eyes it is possible to watch the corpse becoming billions of beings, many of which came from it anyway and lived as part of it. We witness how the body is not one thing, and its multifarious motion in death reflects also its manifoldness in life — and how determined by conditions each phase is! There are not really even phases, only a continuous process until the body has returned to its elements, which in turn partake in other processes that might result in new bodies. Daily observation of these transformations eventually wears away our squeamishness in the face of decay, making us capable of living with death and disintegration as they go on all around us. The regular undertaking of this exercise changes us, making us more open and attuned to the vibrant, perilous buzz of the organic world around us and in us — and no longer afraid of it all. Our mindfulness is established with the thought, ‘The body exists’: this is what it is for body to be body, there is no other way for body to be and consequently no way for any of us to escape from this condition. However, the simple recognition that this is how things are can easily be elevated into a grand, dark theory of life. Therefore we are mindful to the extent necessary for knowledge and remembrance, and should catch ourselves sliding into morbidity, transcendentalism, or any view that would replace and cover up the raw experience. This is why the Buddha calls for contemplating a corpse — not contemplating death or dying. A corpse is an observable fact, and our identification with it is grounded in experience — whereas “death” and “dying” are conceptions from the point of view of a consciousness that is clinging to the supposed opposite of these conceptions. Without an attachment to “life,” death is not an opposite that has to be neutralized; instead, there is only a process of transformation, moment by moment.